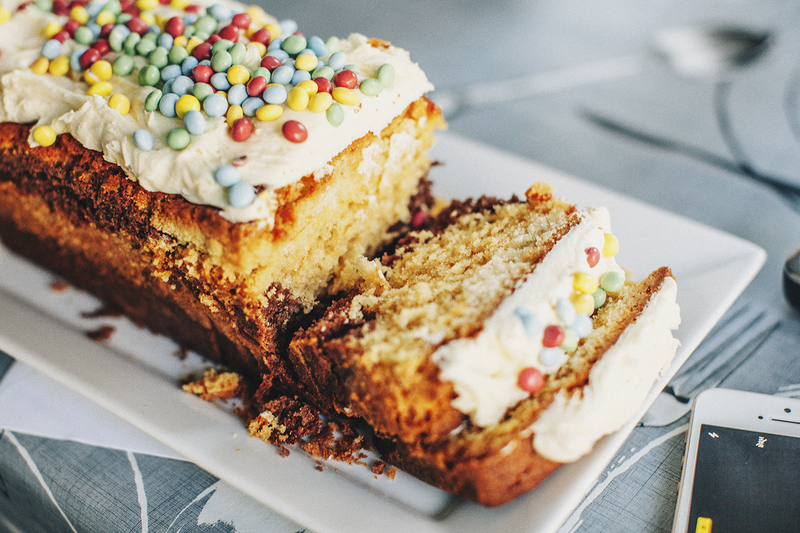 What in the world could be better than a vanilla or a chocolate loaf cake? 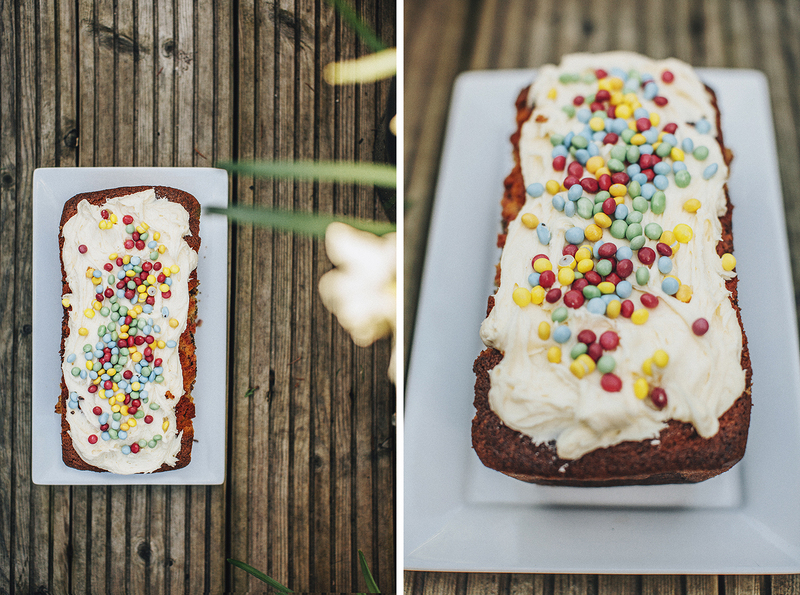 Answer: a vanilla loaf cake AND a chocolate loaf cake fused together in a magical, death-defyingly sumptuous duo. Can I get a hallelujah!!? Method: Preheat the oven to 170c and line a loaf tin with parchment paper. Throw your butter and sugar into a bowl and beat together well. Slowly add the eggs, followed by the vanilla and stir well. Fold in the flour and baking powder, mix really well and then add the milk. Now for the fun part! Divide mixture into 3 bowls. In one bowl add pink food colouring and mix well, in another bowl add the cocoa powder and mix well, and leave the third bowl as is. 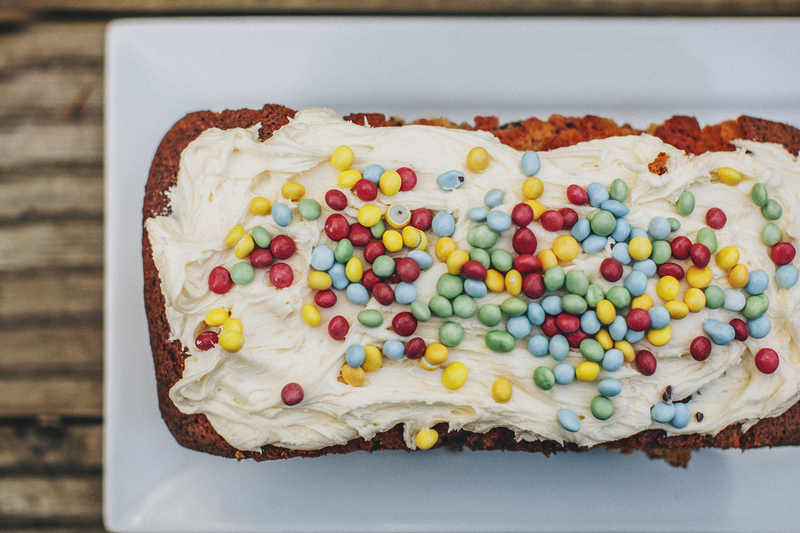 Decide what order you want your cake to be coloured in and slowly (and carefully!) pour into the loaf tin accordingly. Place in the oven for around 1 hour or until a skewer comes out clean. Remove from the oven and allow to cool. If the pink layer of your cake appears to have disappeared (ahem like mine - hey it's a learning curve!) you can add some more pink food colouring next time! 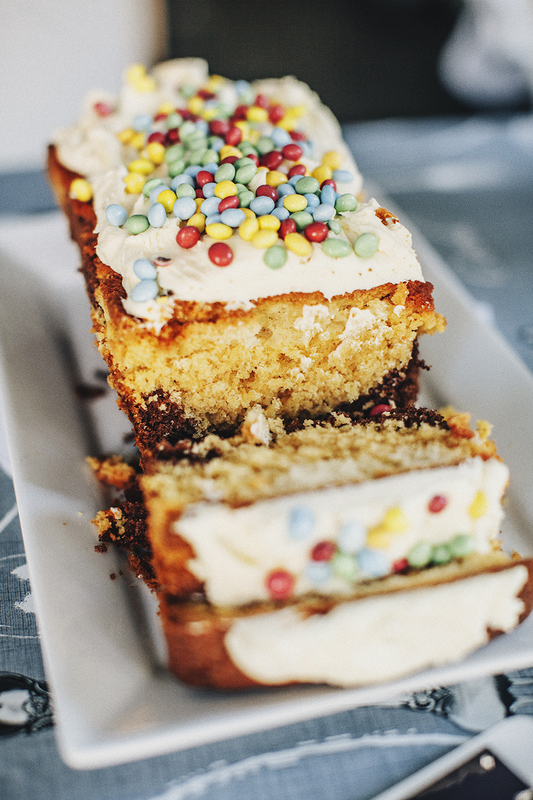 My mum decided to get a little funky with our cake, so topped it with mini smarties and buttercream but you can glam up your little baby how you like although I would suggest sticking to the following criteria; a) calorific as hell and b) not fish fingers. Now does this or does this not look like the happiest little loaf cake in town?! Have you ever made a loaf cake before?